At some point in your iPad usage, you’ll have had the need to delete data either bothering on creating more space, boosting the speed, or for fear of privacy breach. What most don’t know, however, is that deleted data never really goes away permanently, even on the iPad. With the right tools and expertise, such files can be extracted for myriad of purposes. In other words, if you’ve ever deleted sensitive information in the hope that no one will ever find out what you’ve deleted, then think again. Thankfully, there are third party apps that make your deletion permanent. 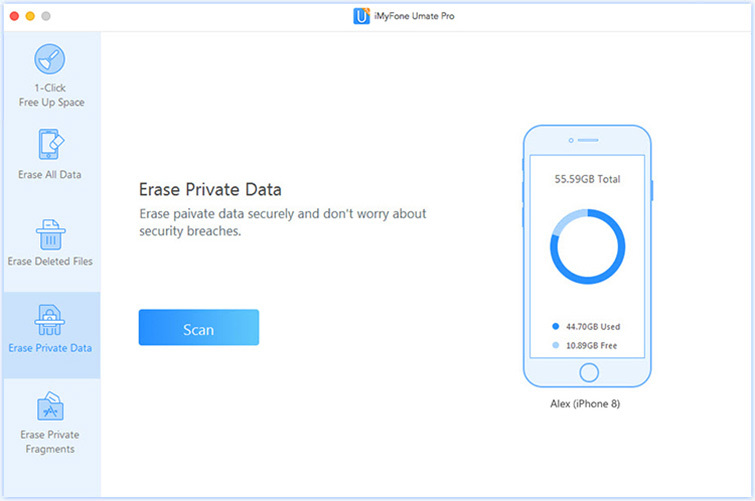 iMyFone Umate iPad Cleaner or iMyFone Umate iPad Cleaner for Mac is notable in deleting iPad data permanently. iMyFone Umate Pro is an utility specially designed for iOS devices including the iPad. The application helps iPad users perform different actions on their iPad including boosting performance, erasing data permanently, and erasing previously deleted files. 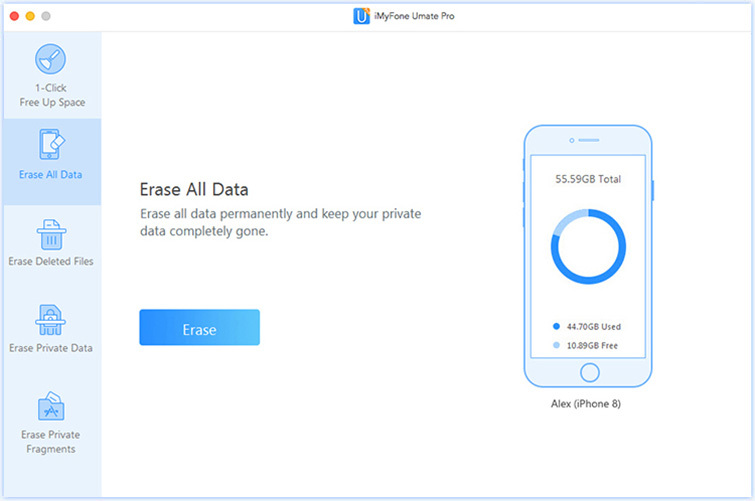 The options you select when using iMyFone Umate Pro to permanently delete iPad data is dependent on what you’ll do with the iPad after the deletion of files. The mode you’ll select will be determined if you’ll be using the device afterwards, or you’ll be transferring ownership to another party either by selling, gifting it out, or returning to the company if it was a company device. 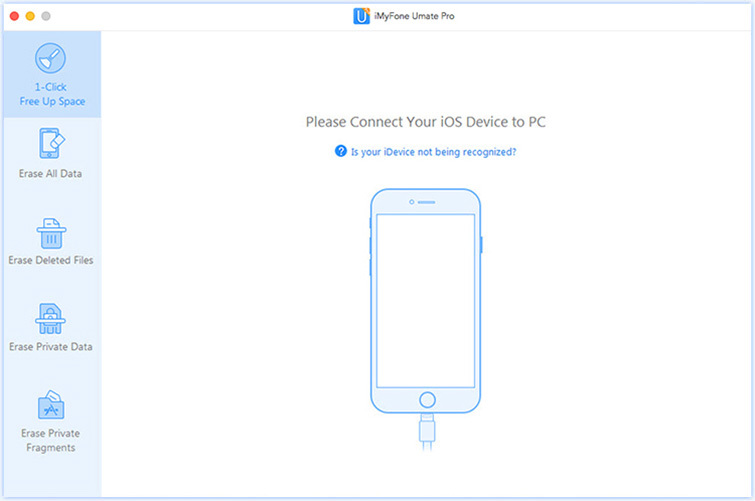 Step 1: Download iMyFone Umate Pro installation file to your computer. Run and install the downloaded file. Launch the program and connect your iPad. Step 2: Select the “Erase Private Data” mode from the options. Step 3: Select “Scan” to see the files on your iPad. Step 4: Select the files you’ll like to delete permanently. Then click the “Erase Private Files” option. If you’ll be getting rid of the iPad, then to delete iPad data permanently, the mode to select is “Erase All Data”. When this is done, no files will be present on the iPad, and you can sell or gift the device with a peace of mind. Umate Pro is a premium data management tool with super erasing power, ease of use, dependability, and functionality. The application comes with a range of features to make permanent iPad data deletion easy and straightforward. 4 Modes to Choose: The utility comes with four modes which give users different options tailored to their specific needs. These needs can include basic clean up, storage optimization by deleting media files and apps, and privacy protection. Selectively Erase iPad Data: Users can preview and selectively delete iPad data permanently. These means users can avoid deleting important data when they just want to get rid of one single file. Erase Deleted Files: Users can also scan their iPad with the utility to see previously deleted files that they may want gone permanently. No matter how long the files have been deleted, the tool will find it if it still exists. Permanently Erase Data: Data erased by the utility is erased permanently. No data recovery tool can recover any of them from the device. With this, users will have the confidence to sell their phones or return the company phone. All File Types Supported: The utility reads all types of data and from all sources; audio, text, images, videos, and all data storage forms. 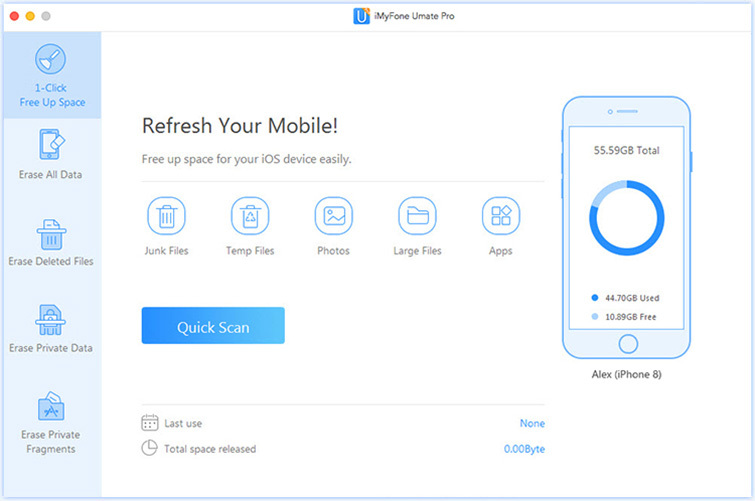 iMyFone Umate Pro also comes with a tune-up option that users can use to optimize their storage. This tune-up can help boost the speed and performance of the iPad as well as release more space for other important usage. 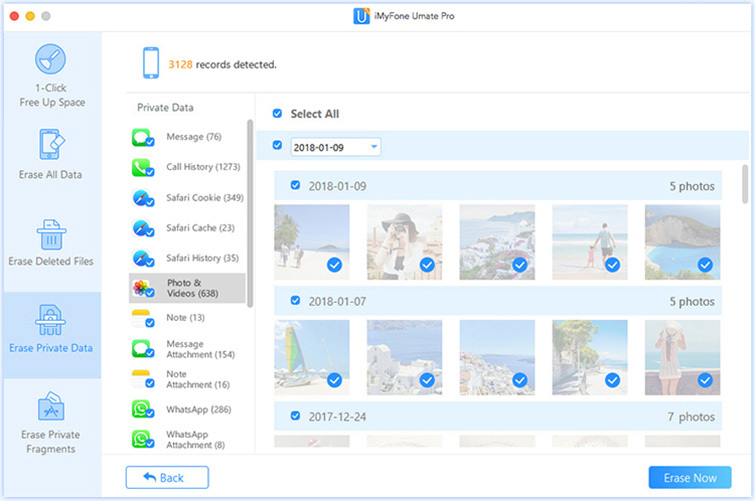 The sub-options under this mode include delete and remove temporary and junk files, backup and delete photos from your device, remove apps efficiently, and compressing your photos to free up more space without losing the quality of the pictures. This option is more efficient and easy to perform than for you to start searching your device manually for the files you can delete to accommodate new media and games. How to Master Reset iPad Mini/Air/Pro? Learn the Best Way! How to Prepare iPad For Sale? Learn How to Wipe iPad Clean to Safeguard Privacy Here!